The latest set video from Cobra Kai Season 2 takes us behind-the-scenes of one of the most iconic locations from The Karate Kid. 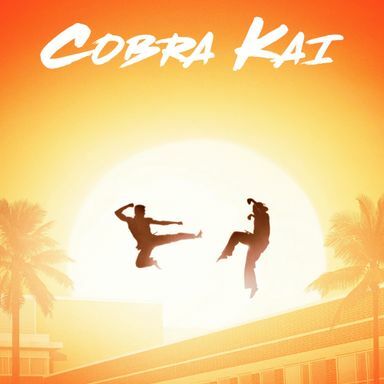 Following the red hot success of Season 1, Cobra Kai is currently preparing to film the highly anticipated Season 2. Cobra Kai might just well be the perfect sequel. As if The Karate Kid wasn't already great enough, the new series only makes it better. One of the surprise returning actors in Cobra Kai is opening up about their return and what it means for the show in the long run. YouTube Red has announced that the first two episodes of Cobra Kai are available to stream for free right now. Unsuspecting New Yorkers witness a crazy Karate Kid prank where a street lamp, a motorcycle, and even a water hydrant get destroyed...all in the name of Cobra Kai. YouTube Red's Cobra Kai series continues its promotional campaign leading up to the big series premiere. The Karate Kid rivalry is reignited in the latest trailer for YouTube Red's upcoming series Cobra Kai. Daniel LaRusso is ready to fight back in the third trailer for YouTube Red's Cobra Kai series. Daniel LaRusso is back to face off against his greatest enemy in a first look at the new Karate Kid sequel series Cobra Kai, coming to Youtube Red. Ralph Macchio and William Zabka talk about Cobra Kai and reveal why they're bringing back characters they played in the 1984 cult classic The Karate Kid.